The Ocean’s Eight villain has been revealed! 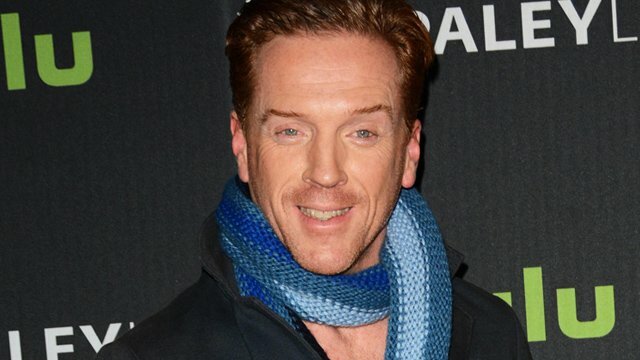 Damian Lewis (Homeland, Billions) is joining the female-driven action heist franchise spinoff. Lewis was reported as having been spotted on set back in October, but Variety today confirms that he’ll be playing the part of the Ocean’s Eight villain. Ocean’s Eight stars Academy Award winner Sandra Bullock as a woman who assembles a crack team (the cast for which includes fellow Oscar winners Cate Blanchett and Anne Hathaway, Mindy Kaling, Sarah Paulson, Awkwafina, with Rihanna and Helena Bonham Carter) to rob her ex (Lewis). Oscar-nominated filmmaker Gary Ross (Seabiscuit, The Hunger Games) is directing from a screenplay he wrote with Olivia Milch (upcoming Dude), with Steven Soderbergh (who directed Ocean’s Eleven, Twelve and Thirteen) and Jon Kilik producing, Michael Tadross, Susan Ekins, Sandra Bullock, Diana Alvarez and Bruce Berman executive producing, and Milch co-producing. Filming has been taking place in and around New York City. Collaborating with Ross behind the scenes are director of photography Eigil Bryld (In Bruges, Not Fade Away), production designer Alex DiGerlando (Beasts of the Southern Wild, HBO’s True Detective), editor Juliette Welfling (Free State of Jones, The Hunger Games), costume designer Sarah Edwards (Tower Heist, Showtime’s Billions), and composer Nicholas Britell (The Big Short, Free State of Jones). The film is set for release in Summer 2018 and will be distributed worldwide by Warner Bros. Pictures, a Warner Bros. Entertainment Company, and in select territories by Village Roadshow Pictures. What do you think of Damian Lewis as the Ocean’s Eight villain? Share your thoughts in the comments below!